As the number of features offered on mobile phones grows and new designs become more popular, customers are increasingly influenced by the handset when selecting a service, a new report shows. A JD Power study found that one in five (19 per cent) customers cite the type or brand of mobile phone as a key factor when selecting a service. 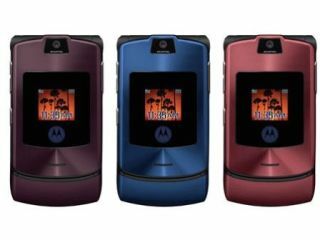 Stylish handsets such as the Motorola Razr v3i are believed to have fuelled this number, an increase compared with 2004, when 11 per cent said the same thing. While the name of provider is still the biggest factor influencing the initial selection process, it has decreased in importance - down eight percentage points from 2004 to 40 per cent this year. Other key issues that influence the initial selection process are price or promotion (29 per cent) and retail location (12 per cent). "It is clear that as the number of mobile phone service offerings increases, and the design and visual appeal improves, providers and national retail chains are using the handset as a key promotional tool to attract new subscribers," said Kirk Parsons, senior director of wireless services at JD Power and Associates . "Additionally, as service plans are more competitively priced, retail outlets of the major providers are also using mobile phones as a key differentiator - typically offering exclusive deals on new and popular models. "Providers and retail chains are making these trendy cellphone models available more widely in order to increase store traffic, raise market share and, more importantly, increase the likelihood of repeat purchases." Among customers who are most influenced by the mobile phone brand, the likelihood of switching providers in the next 12 month period is 60 per cent higher than among customers who cite the name of the provider as their key factor in the selection process. How do you chose a mobile phone and other gadgets - do you tend to stay loyal to brands you are used to, or is price all that matters? Let us know by leaving a comment below.